Those of you who don’t live around here think of Florida as a paradise of Disney for the kiddies, palm trees and pristine beaches. Indeed we have some of the finest beaches in America. I am lucky to live within a short drive of several of them. Well southwest Florida beaches are in dire straits this year. 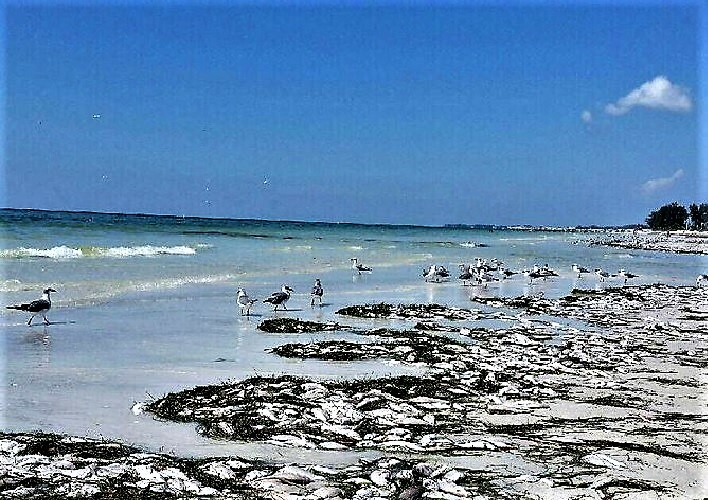 From Naples to Sanibel Island here in the Tampa metro area we are seeing the scourge of Red Tide; “pristine” beaches covered with dead fish and pinkish waters which will make swimmers sick. Thousands of sea creatures now litter many of southern Florida’s typically picturesque beaches. Most are fish—mullet fish, catfish, pufferfish, snook, trout, grunt, and even the massive goliath grouper. But other creatures are also washing ashore—crabs, eels, manatees, dolphins, turtles, and more. It’s a wildlife massacre of massive proportions. 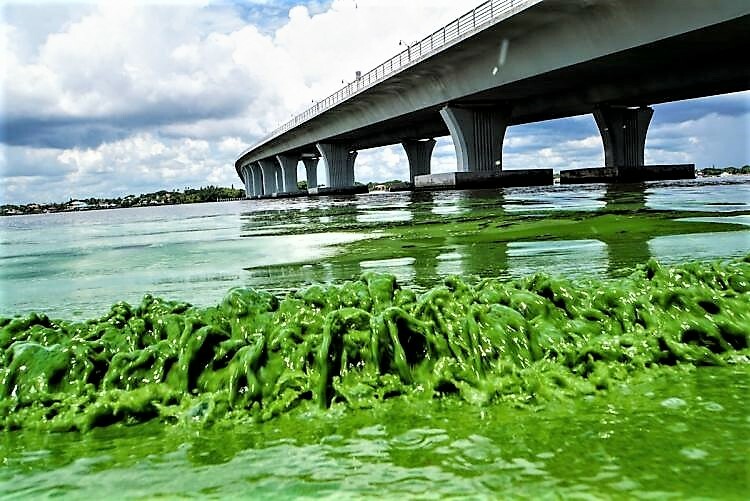 And the cause of both the deaths and toxic, stinging fumes is a bloom of harmful algae that scientists say is the region’s worst in over a decade. Yesterday six dolphins washed ashore along with another manatee. There have been hotel cancellations by the thousands at gulf beach hotels south of me along with millions in lost revenue for restaurants, tourist attractions, gas stations, trinket shops etc. The culprit is the tiny, plant-like alga known as Karenia brevis which produces toxins, dubbed brevetoxins, that cause both gastrointestinal and neurological problems when eaten. The latest bloom now stretches around 100 miles along the coast and miles offshore, often pushed into concentrated patches by winds and currents. The infestation began about ten months ago after a summer of heavy rains and hurricanes, picking up intensity this month. Now these folks who live along these beaches, particularly in the Naples area are not “po” – they have money and influence. And they are tired of cleaning up dead smelly fish from beaches. The finger pointing as to the cause of this environmental disaster is getting nasty. Is it caused by humans? Let us move inland to the western portion of Palm Beach County. Yes – that Palm Beach county where Mar-a-Lago hosts Emperor Don and other billionaires when he doesn’t feel like New Jersey. In the west of Palm Beach county, in the center of South Florida sits Lake Okeechobee, one of the largest fresh water lakes in America. And one of it’s most polluted. The inland lake is clogged with yet another bloom of vibrant green cyanobacteria. 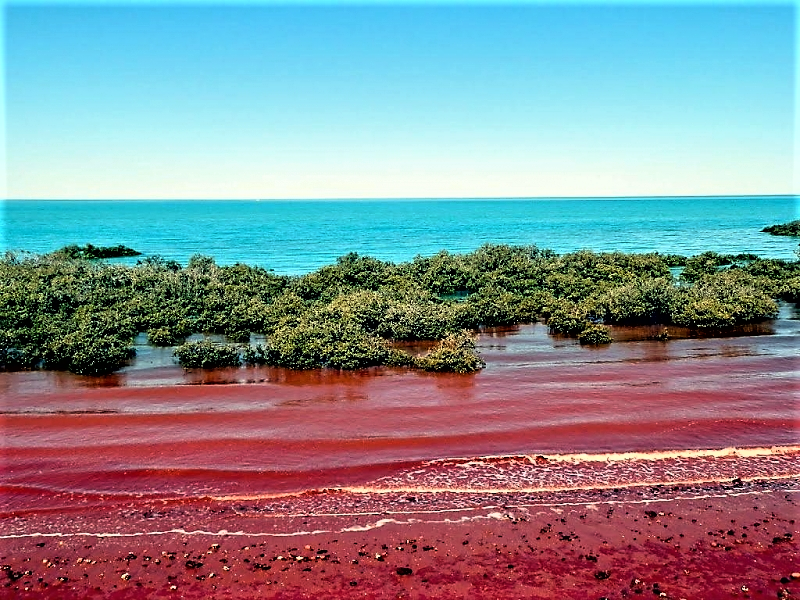 Runoff from cattle farms, sugar plantations and residential developments that lie north and south of the state’s largest freshwater body carries in nutrients, turning its waters into a thick green smoothie. The current “Herbert Hoover Dike” completed by the Army Corps of Engineers was completed around 1960 and completely encloses the lake. Development and sugar farms south of the lake prevent the natural trickling and filtering of overflow through the Everglades. Instead, to prevent flooding of nearby towns, heavy rains force engineers to release polluted water into the estuaries that lead out to the sea. The Federal government use of massive pumps and lock infrastructure, to control Lake water height — called “schedules” by the US Army Corps of Engineers — is calibrated to dike safety. Possible breaches would endanger lives in downstream communities: places like Belle Glade and Clewiston that, thanks to low labor wages of Big Sugar, are also among the poorest in the Florida. To keep the dikes from bursting, The Army Corps of Engineers open the floodgates of hell into the St. Lucie and Indian River, opening to the Atlantic and the Caloosahatchee River, opening to the gulf. 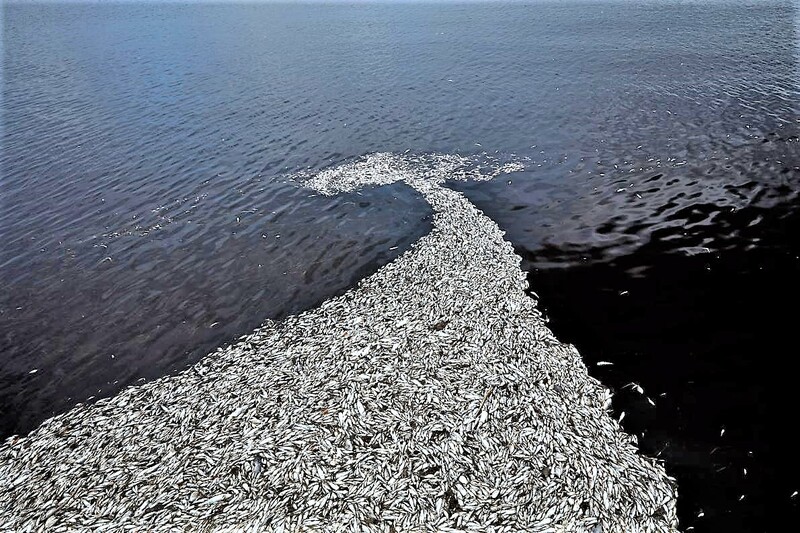 The nutrient filled sludge entering the open water from the lake clearly has caused a massive kill off of fish and aquatic life as well as being toxic to humans. 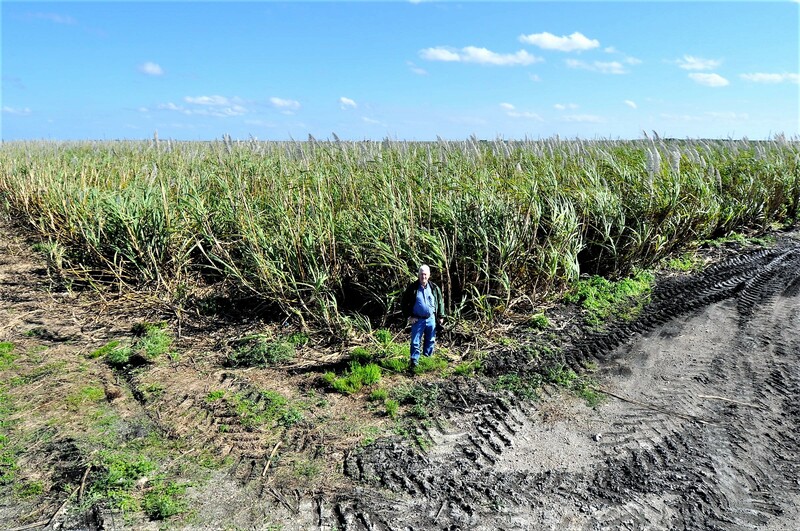 For the public, the end game s to provide connectivity between Lake Okeechobee and the Everglades, building a solution toward cleaning Big Ag’s toxic mess of Lake Okeechobee. Halting toxic releases to tide -measured in trillions of gallons – would eventually provide clean fresh water to the remaining three millions acres of Everglades, owned in perpetuity by the public thanks to the national park and other public entities. Florida voters approved a plan to buy up land south of the lake in order to provide connectivity with the Everglades. Never happened. Enter Big Sugar and the Fanjouls. Cuban born Alfonso “Alfy” Fanjul Jr., José “Pepe” Fanjul, Alexander Fanjul, and Andres Fanjul — are owners of Fanjul Corp., a vast sugar and real estate conglomerate in the United States and the Dominican Republic. It comprises the subsidiaries Domino Sugar, Florida Crystals, C&H Sugar, Redpath Sugar, former Tate & Lyle sugar companies, American Sugar Refining, La Romana International Airport, and resorts surrounding La Romana, Dominican Republic. Fanjul Corporation was the 3rd largest in Florida in 2011 which at the time included 187,000 acres of farming in Palm Beach County, Florida, with 2,000 jobs and more than 650,000 tons of sugar. Worldwide the Fanjul companies at the time included four raw sugar mills and 10 refineries in six countries, making them the world’s largest refiner of cane sugar, producing 6 million tons of sugar annually. Think of them as the Koch Brothers of Florida. Not all Cubans fleeing Fidel were poor peasants. These guys are still talking about reclaiming their lands and mansions some day. The Fanjuls are not interested in selling their fields south of the Lake upon which they grow sugar cane; in fact they are more interested in further development. From the background the Fanjuls push Marco Rubio into a Senate seat. Florida political leaders led by Gov. Rick Scott and Ag Secretary Adam Putnam (who is running for Governor in the Republican primary here in 3 weeks) found a way to relieve the political pressure: don’t buy the land south, move the pollution south. The net result: filthy Lake Okeechobee water has been diverted through public lands toward other, more distant water bodies like Florida Bay and the Florida Keys. State officials claim the water will be “clean” although what none will confess this is an uncontrolled experiment for the purposes of political expediency. The public has been arguing for many years that the only solution to the crisis is to buy up the land south of the lake, surface water storage, a rigorous water quality regimen and a conveyance adequate to deal with the toxic mess. And not just arguing. In the 1990s the voters went to the polls and agreed that Big Sugar should be held responsible for cleaning up the toxic mess. Nothing happened. Voters went to the polls iin 2014 to pass a constitutional amendment- approved by 75% of the voters – to buy up environmentally important lands like those owned by US Sugar and the Fanjuls. Hasn’t happened. So all you folks down in Naples, you keep right on voting for those Republican candidates while your Governor and your empty suit Senator do nothing but take 6 figure campaign donations from Big Sugar and vote for a farm bill giving hundreds of millions for sugar price supports while purporting to be good conservatives. Enjoy the dead fish and toxic fumes on your beaches. It’s not man-made; it must be an act of god. You tell ’em toritto! I feel for the innocent fish and other life lost in that cesspool created by man. Such a tragedy! Our daughter who lives in Florida has been posting photos, articles, editorials, etc. trying to increase awareness about all of this. It’s awful! But “sugar subsidies are a matter of national security.” Seriously? I’ve decided my next post will be on big sugar subsidies. Sounds like democracy is slowly slipping out of America’s hands. Tragic indeed, and pretty much unreported here. When the Florida tourist industry is killed off along with the fish, then something might be done. But by then it looks like it will be too late. As always. ‘follow the money’, and you will find the culprits. It takes a crisis for people to wake up. If there are constitutional amendments, supported by Florida citizens, why isn’t action taken? Who’s holding these state politicians responsible? It always cracks me up when I (used to) see Republicans debate. Most of the time they argued about who’s the most conservative. Voters love hearing politicians talk about being frugal and responsible with money, but right here is the ugly flip side of “being the most conservative.” Awaken, people. I grew up by the Hamilton Bay in Ontario when you could almost walk across it due to the years and years of being bordered by major steel companies that had no controls on pollution. I know live on the shores of the largest fresh water lake in Mexico, Lake Chapala. I grieve for you’re waters, and pray for ours here. Good to be back on WordPress, thanks for visit. Thank you for all the time you put into this post. What a disgusting situation both disasters are. Thanks Resa. Unfortunately we elected the GOP candidate who is in the pocket of farmers and Big Sugar as our new Governor by a couple of tenths of one percent of the total vote. I don’t expect to see much done to correct the situation. Canada is in turmoil, too. Our leader, Trudeau, is doing a very decent best, but he is maligned, daily. I am so glad you explain this so well. Thank you! The parasitic behavior of U.S. corporations never ceases to increase death, habitat destruction and illness wherever our corporate overlords extend their despicable tentacles. When did mass killing and slow suicide become acceptable? A civilized society would place vile, delusional predators like Marco Rubio, Rick Scott and members of the Fanjul Crime Family in prison. The United States Of Corporations puts them in charge and gives them tons of money. Many thanks ASIC! Best wishes for Christmas and 2019! Thanks. I hope you’re able to enjoy the “winter” down there. I was on my way to Bolivia months ago, but the state department has turned down my passport application three times so I’m still shivering in N.Y. This essay was reblogged twice already just from my posting of it tonight and I don’t have a lot of followers. 😀 It’s a great post. I hope a lot more people read it and think about the mindless way we use our precious planet and destroy so much life as if it doesn’t mean anything. ASIC – my stats indicate it has been viewed over 1,200 times since posted in August. Thanks and regards. That’s great. I hope everyone fully understands not only how important it is to pay attention to events like this, but to talk about it and take action. We need to force legislators to take actions that will lessen the damage we do to the environment instead of mindlessly treating the planet like a toilet. Unfortunately we elected a governor who will do nothing to try to correct the situation. Yes, so sad and disappointing. I’ve never understood how a psychotic organization like the GOP and continue to infect society the way they do and still exist.